2 Comments on Domain Auctions – What Are They? A domain name is an identifier used in the Uniform Resource Locator (URL) to access a website. In simple terms, the domain name is analogous to the name of a website. Anyone can purchase a domain name from a domain registrar. Domain names come with a predetermined validity period, after which the subscription has to be renewed to continue retaining ownership over that domain. Often, you find that the domain name you are searching for is taken by somebody else. In such cases, if you are interested in pursuing the domain name, it is advisable to check if these domain names are available for resale. Domain names are usually re-sold on domain auction websites, where people bid for names they are interested in. 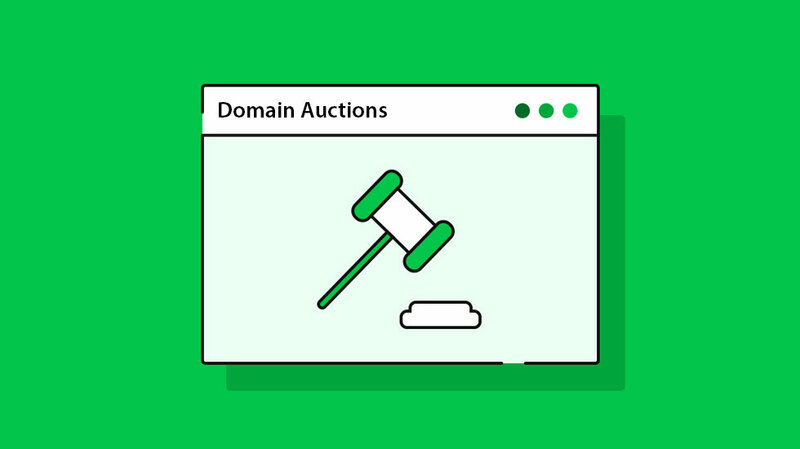 While some domain names are more desirable than others, the price varies accordingly, which in turn explains why domains are auctioned instead of being sold at a fixed price. A domain auction is the process of resale of domain names that have been registered by someone. People purchase domain names from Internet domain registrars to sell them at higher rates to entrepreneurs who want those names for a profit. This resale of domain names is carried out via domain auction sites. You can search for the domain names that are put out for sale on typical domain auction websites. You can also find domain names and websites for sale on online e-commerce forums. Domain auctions are, however, typical, and the domain name is sold by the owner, while those interested, bid for it. The highest bidder wins and gains ownership of the domain name. Domain name auctions have quickly gained popularity due to some reasons. A web address or URL is what an Internet user will type to reach any website. For businesses, this is a core part of their brand identity, something that they are required to protect and maintain. This trend tempted individuals to buy seemingly notable domain names so that they could sell it later to a business or institution that can directly identify itself with that domain name. The ever-growing pool of data on the web is navigated, sorted and displayed to millions of global users through search engines like Google. Search Engine Optimization involves gaining a higher ranking on search engines to increase visibility and internet traffic to your site. SEO is an important factor for marketing an e-commerce business organically, and your domain name can impact your rankings. Search engines try to populate search results based on the user’s search terms. So website domain names with product categories in them tend to gain a small edge over their purely branded counterparts. However, there’s nothing that can’t be done with other SEO factors to balance the scales. So much so, of late Google has not been giving domain names with keywords in them that much of an edge. E-commerce stores and other brands that run their business online need to get their website name pulled up when their target customers search for their product or service using search engines. A lot of webmasters prefer using SEO optimized domain names for their e-commerce projects, and in such cases, purchasing an optimized domain name through an auction could be a good idea. These are websites where users can purchase and sell multiple domain names at one go. You can compare this to a marketplace that allows for the listing of multiple domain names for sale to buyers globally. If you are interested in a domain that has already been taken, make sure you check these following websites and find out if it is available on auction. Go on and do a domain name lookup on these websites to find a feasible domain name for your brand. In case you are uncomfortable with paying too much money to win bids, you can choose a slightly different name and register the domain directly from domain vendors. You can also check out online name tools like the one offered by Shopify and gauge the options you have. This saves you from the trouble of dealing with auctions altogether. How to Choose the Best Domain Name for Your Online Business? Thanks Marius for your suggestions. They are now in the article. Keep visiting us.